Gathering critical data is a pivotal piece of the puzzle when it comes to running an effective business. But one of the last and most important pieces to that puzzle is reporting. If you’re unable to clearly and effectively report on the data that you want your clients or your marketing team to take action on, that data can be misinterpreted, overlooked and eventually ignored. Reports can be manually created for proper presentation, but especially with continuous reporting, that process can be both tedious and time-consuming, and is naturally hampered by the skill sets of the preparer. Any number of tools are available that can produce creative and compelling reports that clearly articulate gathered data, sparking future decision-making and strategy-building conversations that affect positive or negative change for a business. When it comes to reporting on web ranking SEO, the analytical data can become incredibly complex, with thorough tools producing huge volumes of information that require immediate and deliberate attention. Without fully featured reporting, that data can be diluted, critical details can be overlooked and your clients and marketing teams can be confused, lacking confidence and vision as they try to move forward towards growth. There are several available tools with well-developed reporting features that can deliver data results clearly and effectively to recipients, paving a clear path towards improvement and upward mobility. On “paper,” Raven Tools focus on their reporting presentation features first and the actual data gathering second. Don’t let that backwards order fool you. 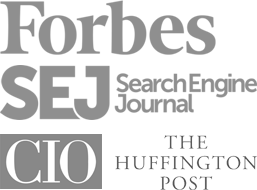 Their SEO arsenal of tools is incredibly powerful and effective. They’ve simply chosen to start the conversation with new users by pressing on a very acute pain point, the mundane tedium of regularly scheduled reporting. Create custom mobile-friendly reports that can be automated to run regularly per your preference or according to your client’s schedule. Their easy-to-use platform can have granular data at your fingertips in a matter of seconds, integrated with over 20 data sources to produce interactive reports that benchmark and monitor your SEO efforts over time. Start your 14 day free trial today, test out their unlimited reporting, and choose to upgrade to either a Pro package ($99/month) or Agency account ($249/month). SEOprofiler is a powerful software system that can audit your SEO from top to bottom in over 60 countries on the three most powerful search engines – Bing, Google and Yahoo. Their reporting feature offers creative custom options that allow you to mask their tool and present the data they deliver with your company’s logo, custom headers and footers. This custom PDF reporting feature (also available for web based reporting) allows your business to present quality reports to clients that effectively communicate problem areas and local search rankings while also building trust in your team’s authority and expertise when it comes to SEO profiling. Delivering a final product that showcases your brand instead of the technology tool supporting it can be a powerful way to develop brand recognition and long-term customer loyalty. Try it for free, take advantage of their 1 month for $1 special offer and graduate to one of their four options, ranging from $69.95/month up to $999.95/month. Focusing on Google AdWords, Bing and Google Analytics, they offer a full feature 14 day trial for free and a only pay for what you need service starting at $5/month. Create custom automated report templates that run on daily, weekly, monthly or quarterly schedules and can saved for future use across multiples clients or sites. Analyze and customize the data rendered to present only the information you need via downloadable PDF, data extracted to Excel or real time dashboard. The live dashboard has client login options to create a dedicated portal that delivers quality insight directly to end users with interactive, real time presentation for instant response and future mobility. Handsome Stats hammer straight to the point when it comes to relaying complex data to clients or teams – communication. Championing their ability to take multiple Google Analytics pages and translate the complex data into a language that is both clear and relatable, this resource offers valuable insight to properly communicating data-driven results to your clients or marketing team. Sign up for this free tool via Google, compare detailed months to overall annual results, leave comments and compare traffic changes via smart metric groups that gather data into understandable blocks. This is a great start (easy button) for companies and clients just dabbling a toe into the SEO waters and a well-functioned first step towards more aggressive SEO reporting. This resource throws another element into SEO and competitive analysis – you can gather insights on both websites AND mobile apps – both yours and your competitors. Use their toolbar extension, which works on Safari, Chrome, Firefox and Opera, to immediately gather traffic statistics on any website, and you’re well on your way to developing rock solid go-to-market strategy. Touted as the “ultimate market intelligence platform,” SimilarWeb delivers comprehensive analysis with easy-to-read, straight to the point reporting. Like to manipulate your own data? This tool has a creative answer. Use their API to integrate with Google Docs to create and manipulate data in SimilarWeb for Sheets, where traffic data like estimated visits, engagement, search keywords and more can be compiled into useful reports. Relying heavily on their tailor-made API integrations, you’ll have to speak to a representative to get pricing. Quill Engage brings order to the behemoth that is Google Analytics. Deliver custom reports to your clients and your team in “plain English” that simplifies relevant data into digestible language. Customize reports with just a few clicks, selecting reporting features, significant KPIs and other relevant data that this tool will then analyze and deliver via email. Log in with Google to authenticate your Google Analytics and you’re ready to get started and can immediately run reports that can be automated for delivery to you, your team or your clients on a weekly or monthly schedule. Quill Engage has a free option, a Pro Plan ($19.99/month) and a Premium Plan ($49.99/month), with the premium option holding the best options for creative reporting that reflects your brand and business. Is it time for you to get some help? Are you struggling to apply complex data or feel like you’re delivering information to clients that they don’t understand? Putting one or more of these tools to use may be part of the answer. As with any resource, they’re not an all-encompassing solution, but each of these tools holds powerful features that can help you apply data in a meaningful way. Reporting is the critical step that comes before change. Change is critical to business growth and without effective reporting, you could gather all of the data in the world, but would struggle to apply it. If you find yourself not making the most of your data, it may be time to put one of these tools in motion to get your business back on track to gathering momentum and market share as you aim for page one rankings.